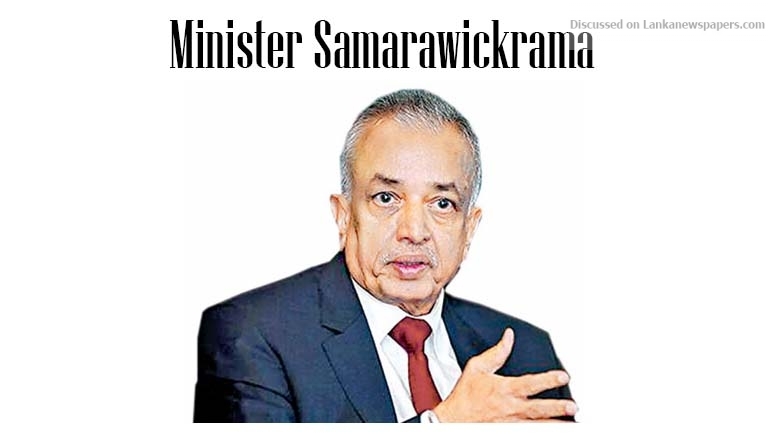 Subsequent to the signing of the Singapore-Sri Lanka Free Trade Agreement (FTA) there is already interest among Singaporean investors to invest in services and manufacturing in Sri Lanka and this FTA can catalyze more, Minister of Development Strategies and International Trade Malik Samarawickrama said. The investment chapter will give a strong signal to prospective Singaporean investors – it gives protection to investors, predictability and transparency, protection, national treatment and many provisions to attract investors. The Agreement provides a binding commitment and framework which we didn’t have earlier. The Singapore-Sri Lanka Free Trade Agreement is a landmark Agreement for Sri Lanka. It signals to the world that the country is moving to a new era in international trade and investment and it is the first bilateral Trade Agreement that Sri Lanka has forged in over 10 years. This Agreement is an important part of the new “National Trade Policy” launched last year and is a linchpin in the on-going trade policy reforms. The Singapore-Sri Lanka FTA is part of a broader strategy of looking East to renew our trade relationships. While we focus on growing and sustaining in our traditional markets of the US and Europe, we have begun to diversify our markets towards Asia and focus on plugging in to Asian supply chains. “The key benefit of this FTA is leveraging the trade-investment nexus and plugging into Asian supply chains,” the minister stressed. The agreement provides a binding commitment and framework on bilateral investments, which we did not have earlier and this will encourage investment.